Sterling Silver, Turquoise, Purple and Red Oyster Shell. 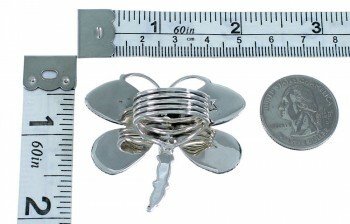 Ring is size 9-1/2, and measures approximately 1-5/8" long and 1-7/8" at widest point. There is nothing at all average about this amazing ring! 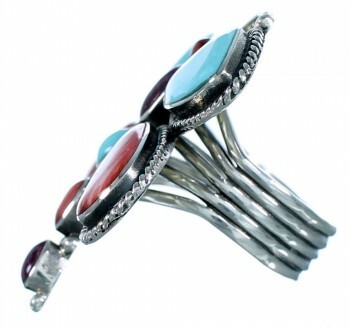 This ring is hand crafted out of genuine sterling silver and real multicolor stones. 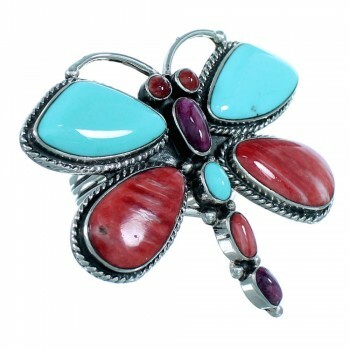 The stones include: Turquoise, along with Purple and Red Oyster Shell. 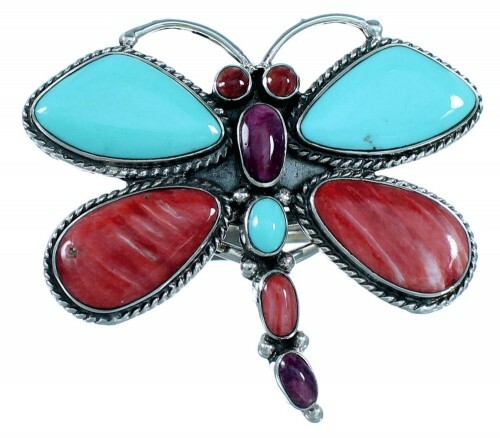 The ring has a total of TEN stones that are delicately set in silver bezel creating a lovely dragonfly design. Twisted silver and mini silver beads can be seen accenting for a wonderful finish. Dragonflies are connected with water springtime, fertility, renewal, and considered a messenger. Ring is stamped sterling and hallmarked.